In IPL Season an honor is bestowed to the players who bail out the most wickets in the season. They are presented with “Purple Cap”. Season leaps forward with jaw-dropping matches and caps are circled around the player’s heads. At the end of the season, the topmost player on the list wins the cap of the season. 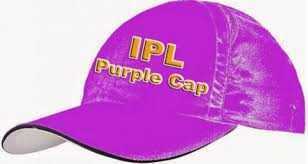 Purple Caps have been the same after the 33rd match between SRH VS CSK. Ranking top of the list is Kagiso Rabada from Delhi Capital and for on 2nd position has been taken by I. Tahir once again who is playing from Chennai Super Kings he’s aiming high to get to the top again.